4Chan, the imageboard whose name has since become synonymous with internet villainy, celebrated its 13th year online this past Saturday. A day later, the site’s owner, Hiroyuki Nishimura, posted a thread titled, “Winter is coming.” The message was simple: we’re broke. The options as he sees them are to inundate users with aggressive ads, sell more 4Chan Passes (a premium feature similar to Reddit Gold), or to cut down on file size limits and begin shutting down whole sections of the site. “4Chan could keep running because of many courtesies, users, volunteers, service providers giving us low rate, and advertisers. These are a kind of wheel. 4Chan stops without one of them,” Nishimura told Gizmodo over email. Banner ads, it seems, were the spoke that has apparently broken. Among the more pervasive suggestions, strangely, was a call to shut down the site’s massive /pol/ board (“politically incorrect”) a known breeding-ground for the alt-right. While /b/ (“random”) is more often associated with 4Chan’s influence, in recent years /pol/ has been the rotten core of a site which seems ready to move past its bad reputation. Since buying the site from its founder Chris “moot” Poole almost exactly a year ago, Nishimura has tried to maintain the status quo, something he has experience in. (Nishimura is best known as the founder of Japanese imageboard 2Chan, the site that influenced 4Chan’s birth.) Now he claims he failed to do so. Does this signal the imminent death of one of the most hated sites on the internet? “I have heard 4Chan have been always like this (sic),” Nishimura wrote to Gizmodo, implying the site’s operations have always been chaotic. 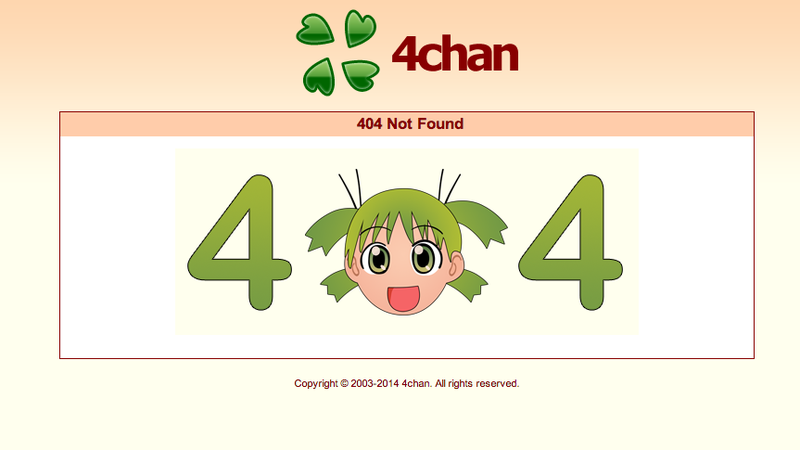 It’s uncertain how 4Chan managed to evade its own destruction for the past 13 years, or if there’s a willingness among users or advertisers to let it cheat death one more time. Update 10/4/16 5:45pm EDT: Despite all the bluster about rampant server costs and the potential for shutting down boards, 4Chan created a new board today, according to the site’s blotter. /vip/ is viewable to all users, but only those who purchase a 4Chan Pass can post to it. Naturally, some people are rather unhappy about it.